With the use of suitable printers, you will be able to receive fax while you are away from your office. You can achieve it in several ways. Two of them that we have tried and used are as follow. 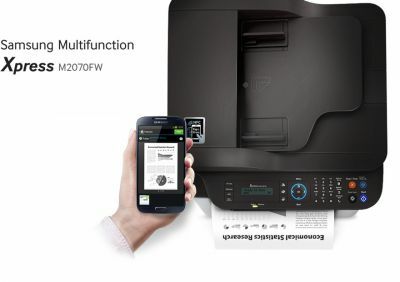 One of the way is the use the popular Samsung SL-M2070fw Mono Laser Multi-Function Printer. With the use of Samsung Printer Manager, you will be able to set the incoming fax to be stored in one of the folder in your PC. If you wish to be able to view the fax everywhere you are, then opt to save the fax in one of the folder in your Dropbox. With that all incoming fax will be synced to all of your devices running and logged in to Dropbox. You can also do the same with other cloud storage such as Google Drive, One Drive and more. 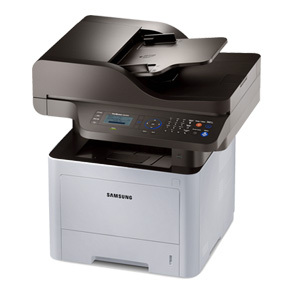 Another more direct option to receive fax on the move is to use Samsung M3870FD or M3780fw 4 in 1 Mono Laser Printer that support Fax to Email Forwarding. Both the above machine allow you to set forwarding to any email address of your choice. Our recommendation is create a new email address such as fax@yourdomain.com and in this email, you can further set forwarding to multiple email addresses. In this way, incoming fax can be automatically forwarded to multiple email address. Both Samsung M2070fw and M3870FD are economical to operate as compatible Toners are available for both M2070fw and M3870FD. If your organization has a large number of printing to do daily, then M3870FD is a good choice as it is very high speed printer that has a print speed of 38ppm and also come with Automatic Duplex Printing. On the other hand, M2070fw will be able to serve the need of 2 – 3 users with issues. Feel free to contact us if you need more information on the above Samsung Printers.